This page is intended to provided a general listing of Maine's "water quality standards", as this phrase is used by the Maine DEP's water quality and assessment program in considering ambient water quality, as well as the waste discharge licensing program. These standards are one of the principal foundations for the protection of water quality in Maine. A majority of these standards are also part of the water quality "docket" of standards that is maintained with the U.S. Environmental Protection Agency (USEPA). Changes to docket standards require the approval of the USEPA for purposes of implementation of the federal Clean Water Act. See the Docket Page for more information on docket standards. See also Water Quality Standards, 40 CFR Part 131 (federal rules) (off-site). 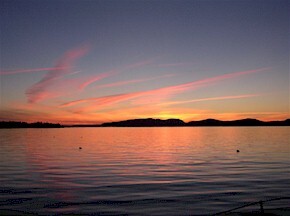 Note that a number of other laws administered by the DEP help to maintain, restore and protect water quality in Maine. Some of these laws provide requirements specific to activities in certain locations, such as activities in or close to protected natural resources (see Natural Resources Protection Act). Some provide additional requirements specific to certain types of activity with significant potential impacts, such as mining, activities disturbing one or more acres (Stormwater Management Law. and the large developments regulated under Maine's Site Location Law. The short and basic requirements of the Erosion and Sedimentation Control Law mean that activities that don't otherwise need a permit should still include measures to prevent unreasonable erosion.